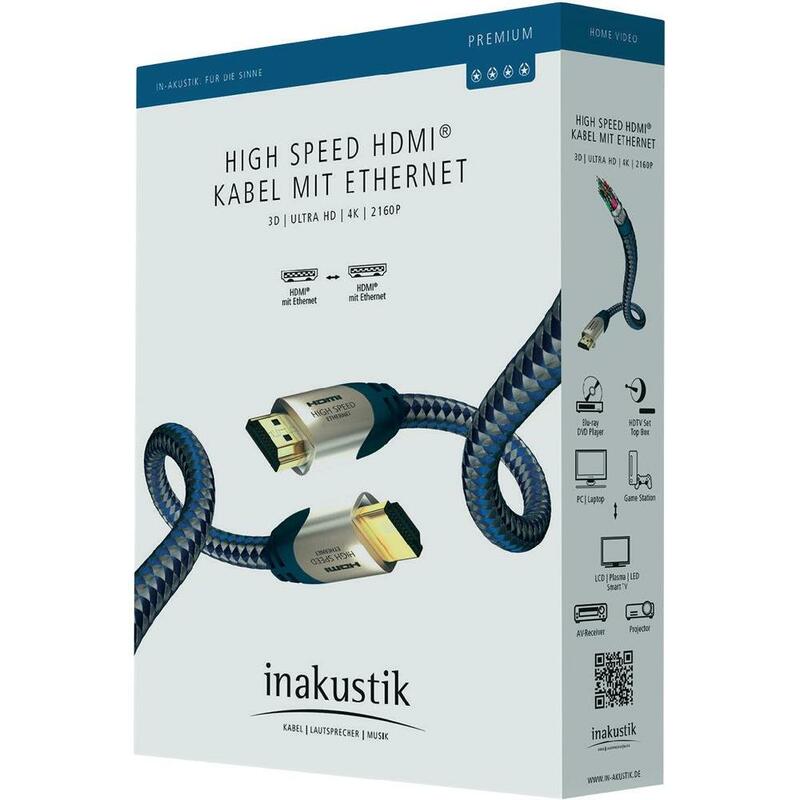 This High Speed HDMI cable with Ethernet (from 8,0m length Standard HDMI cable with Ethernet) from the in-akustik Premium-series supports all HD audioformats and a resolution of up to 2160p 4k ( from 8,0m 1080p Full HD). The solid data lines are triple-shielded. 24c gold-plated contacts ensure an optimum digital transmission. 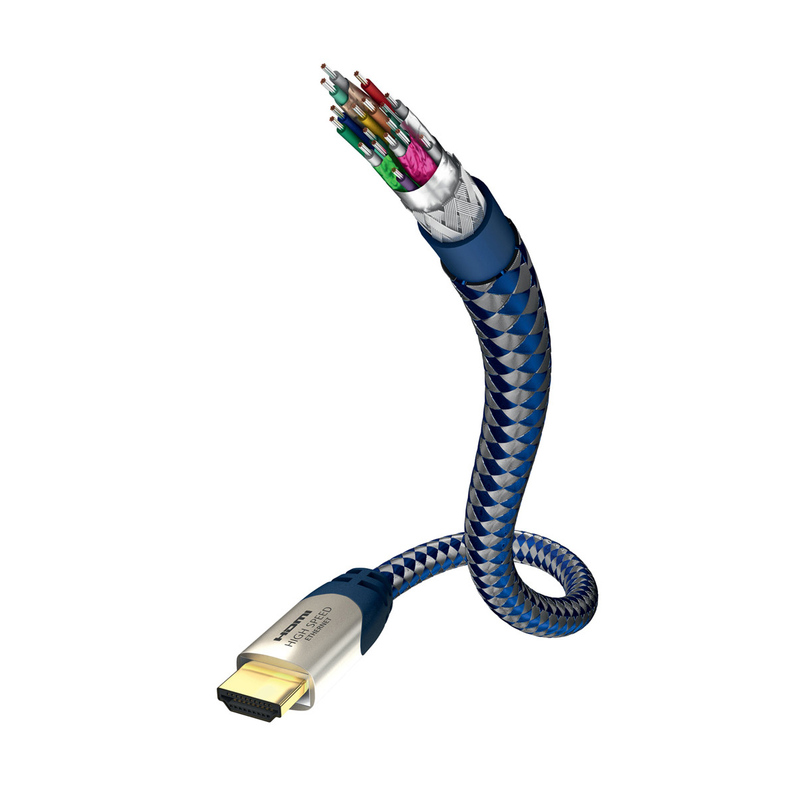 It is suitable for connecting digital AV components, such as DVD, HD-DVD and Blu-ray players or game consoles with a plasma, LCD, LED-TV or projector.